Cubicorn Games is a small indie studio located in the Metro Detroit area of Michigan. Our main goals are to make the games that we want to play, and to build the indie developer community in this region of the country. Cubicorn Games' founders, Dustin and Lorraine, met during their time at the University of Michigan-Dearborn, where they were both majoring in Computer Science with a concentration in game design. Although they did not work together on any game projects during their classes, they knew that they wanted to try making video games for a living, and decided to do just that after graduating in 2013. After graduation, Dustin began working full time in web development in the summer of 2013 while Lorraine finished up her final semester of classes. Upon her graduation that August, she began working on a small project, Space Quail Mini, which built on one of her bigger game projects from college. Development on Space Quail Mini came to an end in the beginning of March 2014, after which the pair went to GDC 2014 in San Francisco, California. 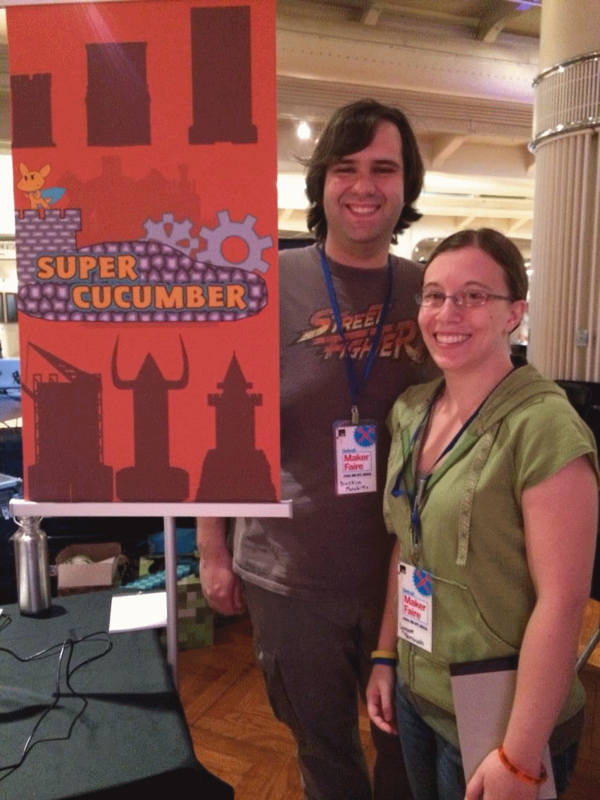 After their amazing experience at their first real industry convention, as well as getting engaged, they dove head first into developing their first real titles, Super Cucumber and Down the Drain. 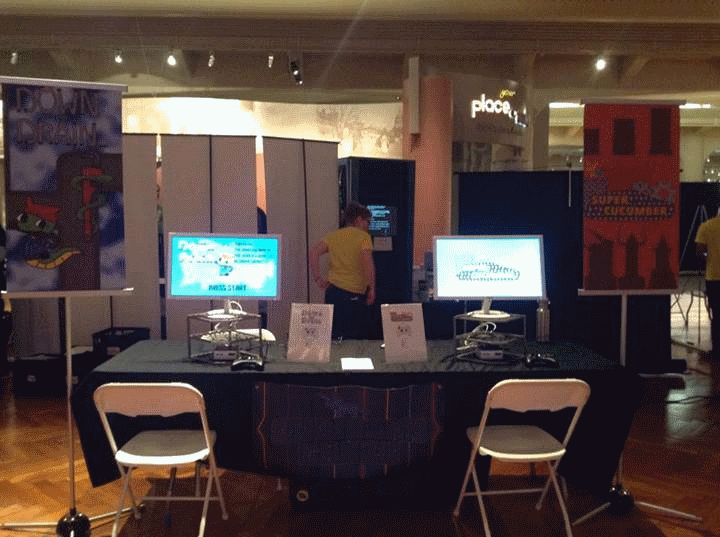 After a few months of development on both games, Cubicorn Games showed off their progress to the public in July at Maker Faire Detroit 2014. Their first public event went off without a hitch, and after a short reprise, development was in full swing yet again. At this point, Dustin had shifted to a part time web development position, allowing for more time to devote to game development. Shortly after Maker Faire, Dustin established contact with the organizers of Youmacon, a game/anime convention held in downtown Detroit, and began planning for another showing of the games a few months later at the end of October 2014. Youmacon was a success, Dustin and Lorraine had a blast, met some great people, and got some more feedback and event experience. 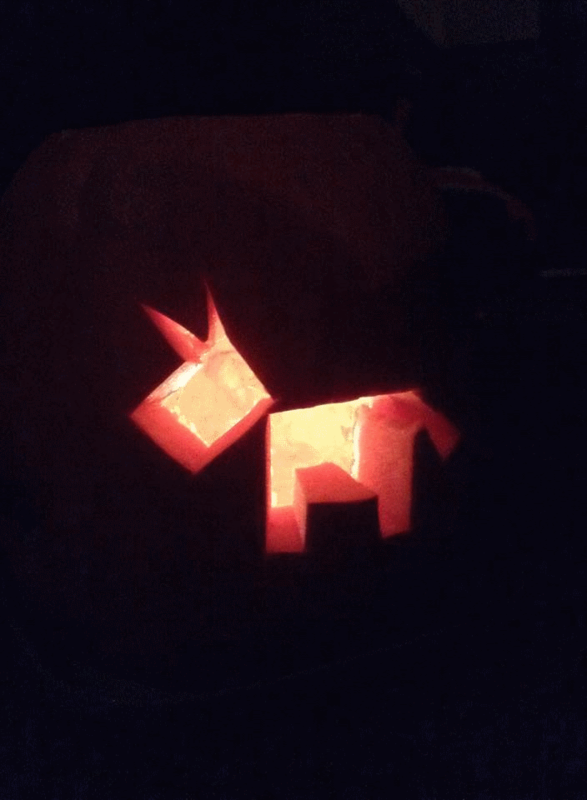 With the start of November came another dive into the depths of game development, from which the dynamic duo would not arise for about three months. Once they resurfaced again, they hit the ground running, launching a Kickstarter campaign, and setting up even more events. 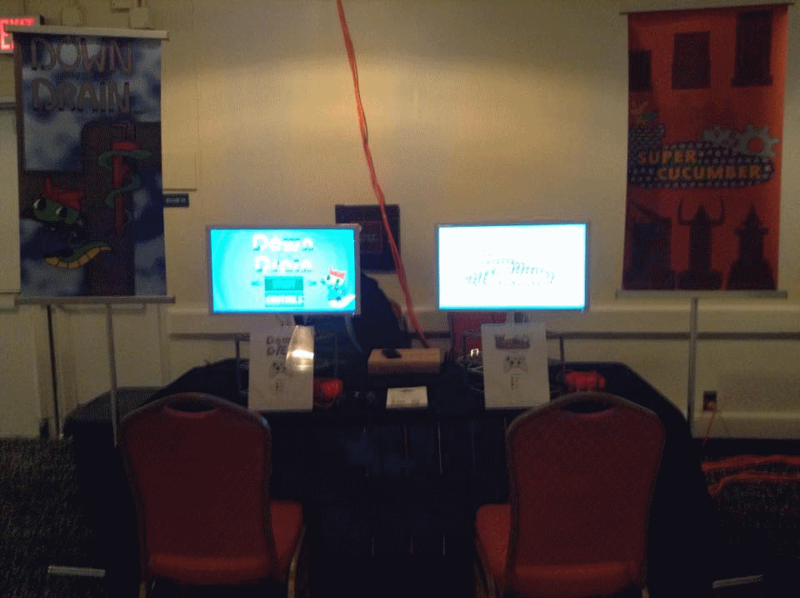 First up was IndieCade East, located in New York City in the middle of February 2015. Secondly was another trip to the Game Developer's Conference in San Francisco, this time being a part of the GDC Play event, showing off both Super Cucumber and Down the Drain during the three days of the Expo, which is the first week of March 2015. There are far more images available for Cubicorn Games LLC, but these are the ones we felt would be most useful to you. If you have specific requests, please do contact us! Our Steam Profile Page steamcommunity.com.